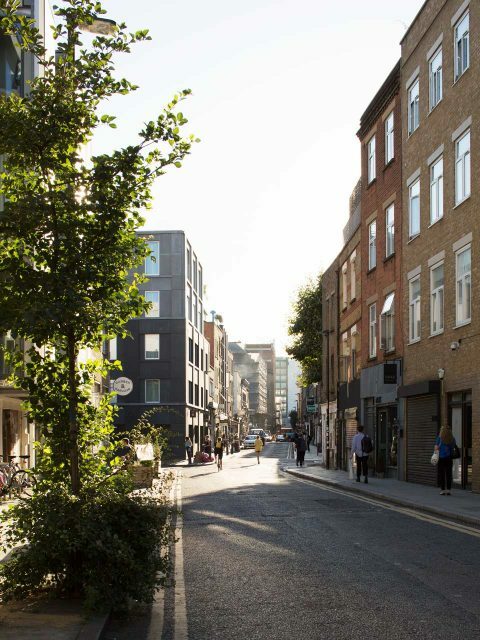 Following a competitive interview 31/44 was appointed to develop proposals to refurbish and extend a prominent corner building in a conservation area on Redchurch Street, Shoreditch, London. 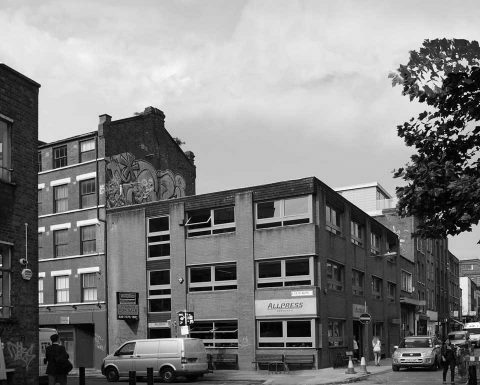 The existing 1960s light industrial building was adjusted and extended to become a café and retail space on the ground floor with a 16 room boutique hotel above. Two new floors and basement were added to create a five-storey building. 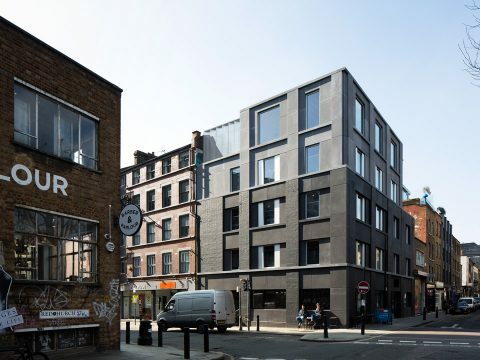 The building was stripped back to its brick-faced concrete frame with the addition of new charcoal concrete infill panels featuring exposed silver aggregate. 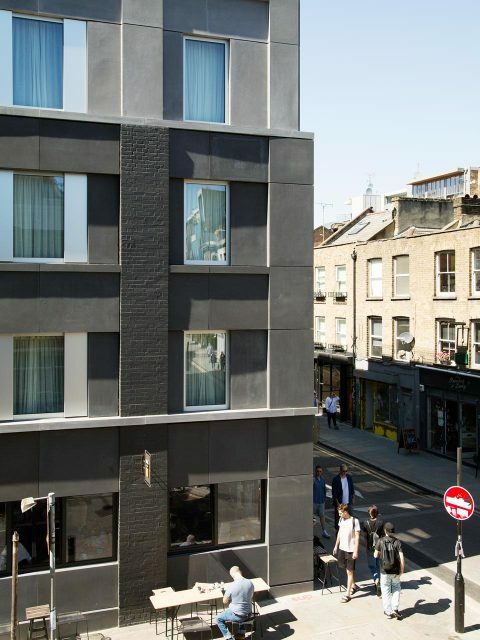 The introduction of a continuous concrete band around the building adjusts the proportions of the ground floor, creating a more defined street level façade. The two new upper floors are lighter in colour to reduce the impact of the scheme and retain the memory of the original building. 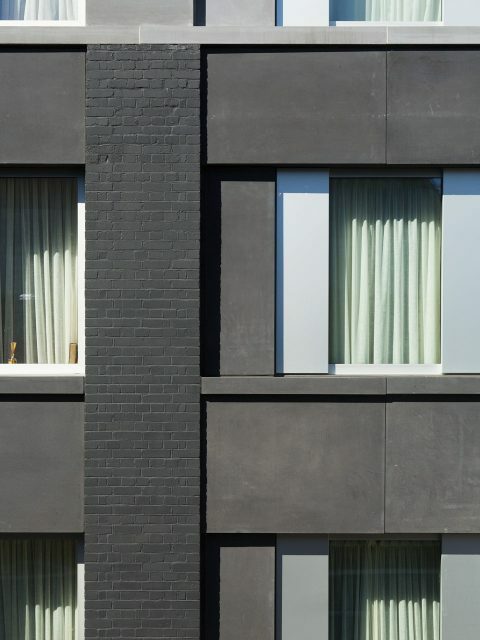 Adjusted windows lend the structure a more refined character and signal a change in use. 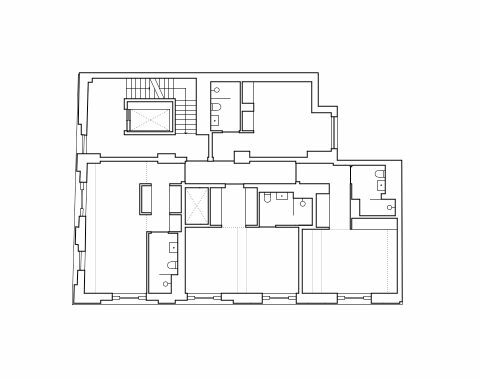 The openings are scaled to respond to the more domestic nature of the proposed use and the size of the new rooms within. Large windows on the top floor take full advantage of the surrounding views. 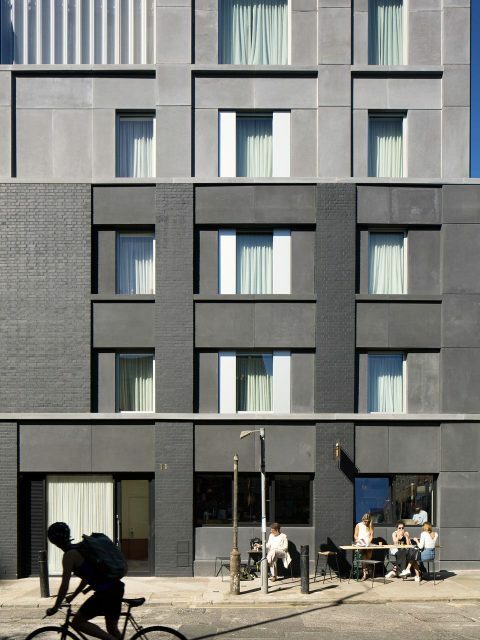 The exterior’s concrete panels are set in different planes, creating a variety in modelling and shadow to reflect the character of the adjacent Victorian warehouse on Club Row. 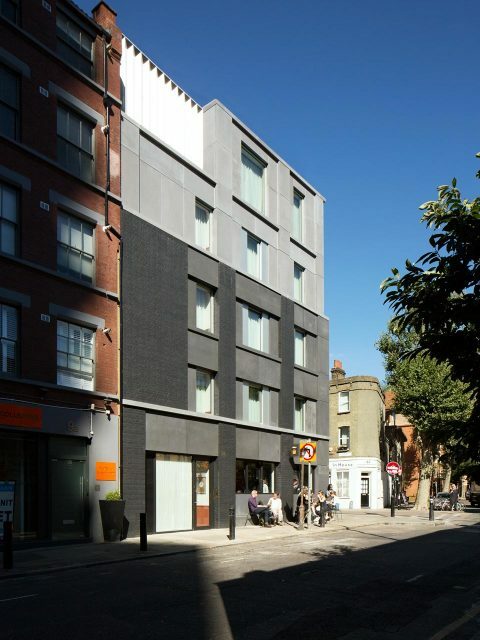 In contrast, the profile of the panels on the Redchurch Street elevation deliberately creates a more simple surface in keeping with the surrounding predominantly flat Georgian brick facades. 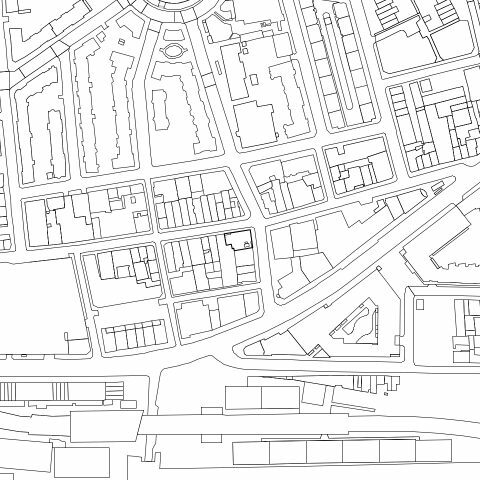 Through adjustments to the existing building and restrained additions the design remains sensitive to the surrounding conservation area whilst increasing the scale and presence of the building on this busy central crossroad. 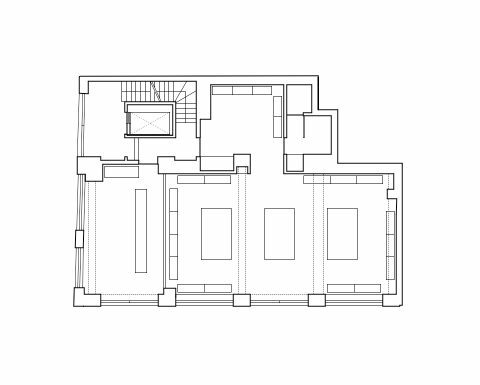 Planning consent was granted in March 2015 with construction work commencing during May. The shell and ground floor retail spaces were complete by February 2016.